Last summer, my friends kept raving about the “terraza” bars. As they enthused away about these drinking spots, I was kind of confused. I mean, a terrace is just outdoor seating, right? And lots of restaurants have those, with much cheaper drinks as well. Getting up high above the city is a great way to escape the heat on the streets, and a lot of these rooftop bars go above and beyond your regular bar (and not just in the literal sense for being up higher). Where do you find these magical terrazas? A good way to come across one is to find a fancy hotel. Here’s a guide to some of my favorites of the best terraza bars in Barcelona, all of which are on top of very nice hotels I normally wouldn’t dream of stepping foot into. For the cost of a slightly overpriced drink (expect to spend about €5 on a beer), you get access to some of the best views in the city. The Condes de Barcelona Hotel sits on the most luxurious street in the city center, Passeig de Gràcia. Naturally, its terrace bar fits in quite well with its chic surroundings, with lots of sleek white furniture and moody blue lighting. 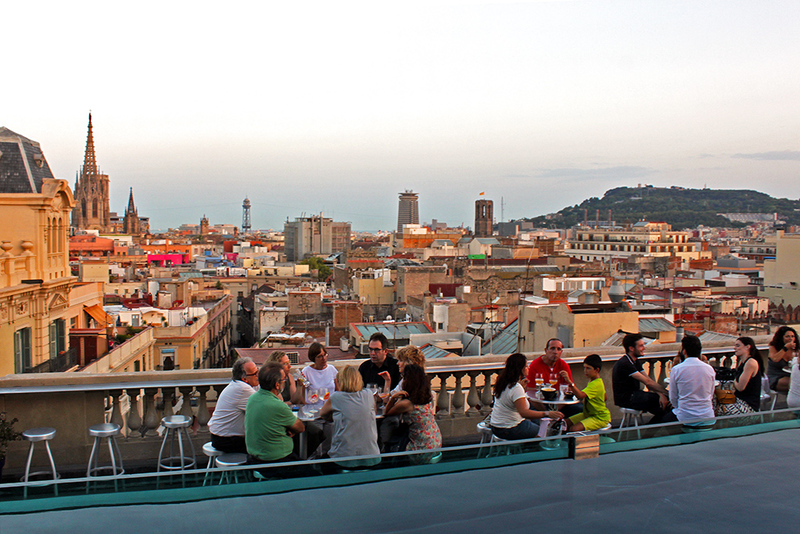 The Alaire bar has direct views of Gaudí’s La Pedrera from high up on the eighth floor. You can also spot another Gaudí masterpiece from the bar – his slightly more famous Sagrada Familia. Summer hours (May – October): 12 p.m. – 2 a.m. This swanky hotel on Las Ramblas is right in the middle of the most touristy hotspots in the city, but step on the elevator and go up to the top floor, and you’ll be whisked to a laid-back oasis away from the crowds. This is without a doubt the most comfortable hotel terrace I’ve been to, with bed-like couches and cushy chairs spread out liberally on the wooden deck. Lay back and get comfy, and enjoy views of Barcelona’s city center without the crush of tourists. Summer hours (April – October): Last time I was there they shut down by 2 a.m. The name of this one says it all – you can really chill out at this terrace. With a pool framing views of the church towers in the Ciutat Vella, this has some really great views of the oldest parts of Barcelona. If you can snag one of the lounge chairs in front of the pool, those are prime viewing points. If not, there’s a great bar running around the outside where you can sit and enjoy unobstructed views. Oh, and the menus are awfully cute here – they come printed like a newspaper. Summer hours: 6 p.m. – 1 a.m.
I’ve saved my favorite one for last! This terrace is in the middle of the Raval neighborhood, and the name is 100% accurate in this case – it has 360° views of Barcelona. You can see the city stretch from Tibidabo, the theme park on a hill, to the Mediterranean. The glass has little silhouettes of the key buildings you can see from the terrace, so even if you’re not familiar with Barcelona you can figure out what you’re looking at. I love taking visitors here so they can get a feel for the layout of the city. It’s especially nice at sunset. Summer hours: Monday – Friday 6 p.m. until 12 a.m.; Saturday and Sunday 6 p.m. until 1 a.m.
What’s your favorite bar with a view? Which one of these terraza bars would you like to go to? 1898 is fantastic, but I like the restaurant/bar at top of tram to Montjuic. It has amazing views. I haven’t been up on the tram or been to the restaurant/bar, but the views from the top of Montjuïc are incredible! I’ll have to add that one to my to-do list. Thanks! The views are so good there. It’s a shame the Pedrera is all covered up right now, so I haven’t been there this summer. I’ve never been to Spain but I’ll keep this bars in mind! These bars look amazing. I’ll be sure to recommend these to a friend who is visiting Barcelona in a few weeks. Thanks for your lovely comment! 🙂 They’re a great way to relax in Barcelona in the summer. I would gladly pay for a slightly overpriced drink to enjoy these views! Me too! I think it’s definitely worth it. No way! I stayed at the Barcelo Raval as well! Don’t you just love to read all of these, and have a photo just click like that – totally love it. Oh awesome! It’s definitely got my favorite views. And if you’re a guest, you can use the pool too – added bonus! Interesting spots I didn’t know in Barcelona. Will keep them in mind for my next visit to the city. They’re really fun to go to! Sadly, a lot of them are only open in the summer. Boy do I feel jealous reading this post in my over-sized dressing gown and fluffy slippers. I’d love to be sitting in one of the those lovely terraza bars overlooking Barcelona sipping a cocktail or too in the warmth right now. I’ll definitely be taking note of these bars for when I get to Barcelona in the next few years. I would have loved to have spent my day sipping cocktails at one of those bars too instead of being at work! 😀 Oh well! I’ve walked by the Condes de Barcelona so many times but never thought to pop in for a drink. I’d love the views of multiple Gaudi works – can you see a bit of Gracia from that terrace, as well? No matter how many times I return to Barcelona, I always have to spend time wandering around Gracia. I think you can see the very beginning of it where the Passeig de Gràcia ends, although I’m afraid the times I went I was more focused on the Gaudí buildings than anything else! But yeah, Gràcia is such a fun neighborhood to have a wander round. There are so many fun little shops and restaurants there. Oh how exciting! Where are you off to? Oh, these so sound absolutely terrific. Would love to go back to Barcelona and take in the view from one of these! Those look all nice but if I had to choose I would probably check out The Hotel 1898: Terraza La Isabela. After a long day walking through Barcelona, bed-like couches seems to be a dream come true 😀 I also really like the view. What church is that in the background? Yeah, the couches are incredible there! You can actually see two separate churches in that photo. 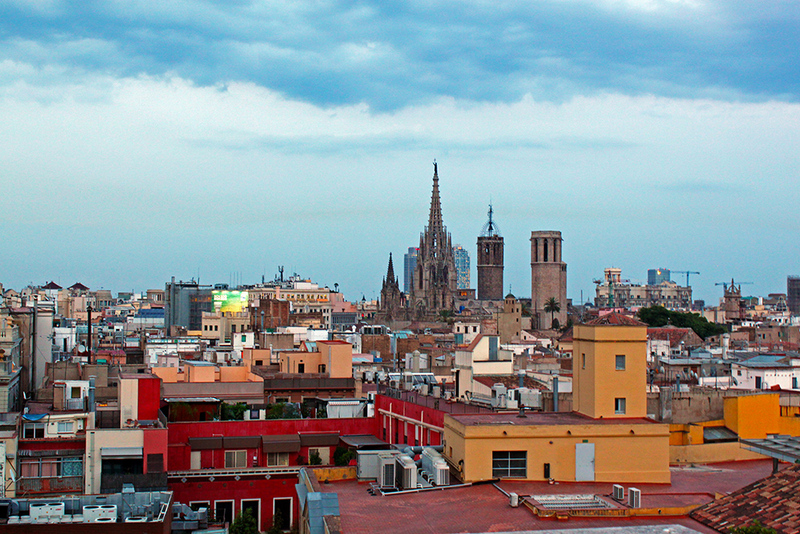 The towers on the left and in the middle belong to the cathedral, then the rightmost tower is Santa Maria del Pi. I cannot believe I have not been to Barcelona. I must go. Those rooftop places look amazing. Can’t wait to check these out!! Your posts are making me more and more excited to move to Barcelona…. Yay! So exciting. 🙂 You have to check out the terrazas when you get here, they are so nice to wind down and relax. Plus, they tend to be a hit if you have visitors too. I currently live in Arequipa, Peru and they also have a lot of terrasse cafes overlooking the main plaza. I love going there for sunset. Oh nice! Aren’t they wonderful at sunset? Oh wow those views! I’d pay 5 euro a beer for that experience! I did something similar in a fancy hotel in NYC, it was inside but had floor to ceiling windows overlooking Times Square- it was incredible even with the overpriced food. Ohh that must have been incredible! Even though the food and drinks are always overpriced for places like this, you’re really paying for the view, aren’t you? I would vote for the first one! Stunning view of La Pedrera! Gosh, I really have to go back to Barcelona soon, it’s a great city! I agree! 🙂 There’s so much fun stuff to do here! They all look awesome. I wouldn’t mind having a cocktail or three at any of them! Me neither! Cheers to that. 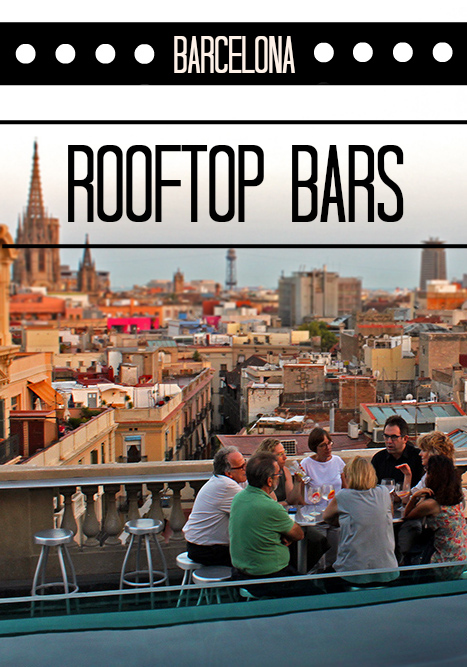 We spend 11 days in Barcelona a few years back and I don’t remember seeing any of these rooftop bars. I wish I had known about them back then. The views are spectacular. I wouldn’t have known about them either if it hadn’t been for a local friend. It just never would never have occurred to me to go to a fancy hotel for a drink! It’s such a fun place to have a drink or two! One of the first things I research when visiting a hot city is rooftop bars and restaurants, love them! We’re just back from the delights of Vertigo at the Banyan Tree in Bangkok, but actually I think I prefer the paid back chilled out summer vibe of Spain. Will definitely check some of these out next time we’re in Barcelona, thanks! I just Google imaged the Vertigo bar, and it looks spectacular! If I’m ever in Bangkok I’ll have to head up there for a drink. Thanks for the tip! Stellar views and awesome food/drinks? I’m in! Yup! That’s exactly why it’s one of my summer favorites. Agreed! I’ve become a big fan too! I´d like to be at every roof bar you mentioned. Too bad I didn´t know about them when I was in Barcelona with my friends. I’ve never been to any of those (and I am almost a local – 10 years in Barcelona) but I would like to go! The views are amazing but the city is amazing too, so almost no bad views anywhere :). 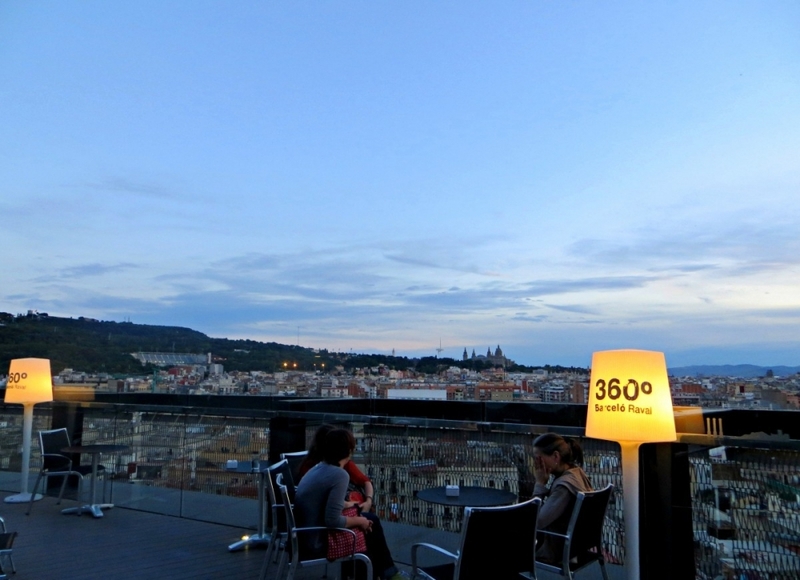 My choice would be Hotel Barceló Raval: Terraza 360° ! That’s my favorite one! They sometimes let you go up there without even buying a drink if you’re quick about it. Oooh. Great list and SUCH a great idea of a fun thing to do while there. I love seeing cities from up high, so this would be perfect for me. Definitely! I had no idea they existed, but they are a must-see for me now too. That 360 bar looks so mellow and chilled and worth exploring. Rooftop bars are definitely a growing trend. In the past year i Have stayed in a hotel in Venice, London and Florence all with rooftop bars and spectacular views! Wow, these all sound amazing! The only rooftop bar I’ve ever been to was in Mumbai, but that was spectacular, with views of the city’s skyline and out on to the sea! Ahh I bet that was incredible! I love rooftop bars! I’d like to go to them all! I loved Barcelona but I never got any views like that. There are some non-bar nice views too, but I think these are actually the nicest. The only rooftap bar I’v experienced was in Tokyo and after seeing the price of the drink I kind of gave up on the idea but I’ll have to try again! Those one look great in Barcelona! Yeah, the drinks can get pricey – the cocktails at these ones are easily double what a standard Barcelona cocktail goes for. But the beer isn’t too bad! It never occurred to me to try to find a terrazza bar in any of the cities we visited in Spain, although I do that when we visit major American cities. I like Ohla bar’s view most. You’re right about staying in an apartment. More “amenities”, often cheaper than a hotel, and even if about the same price there’s no hotel tax. 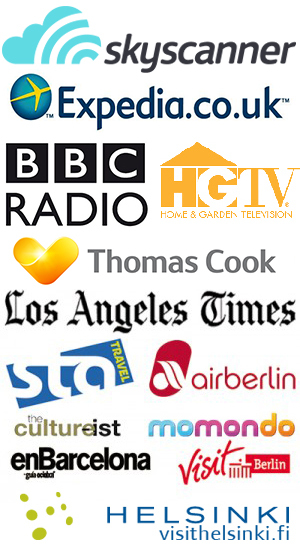 We stayed in hotels in Madrid, Barcelona and Ronda and in apartments in Granada and Sevilla. In Barcelona, we stayed at a smaller hotel across the entrance to Ciutadella park (and named after it I think) and our room had a view to the park which we enjoyed. In Sevilla, our apartment faced Maria Luisa park. It wouldn’t have occurred to me either! I would never have gone in had it not been for my friend, so I’m glad he told me the secret. It sounds like you guys found some great hotels! It’s so nice to stay near a park. These are the perfect places to hang out in in this summer weather. Makes me wish I was in Barca. It’s a good place to be in the summer! I need to get myself to all of these bars ASAP! One of my favorite things about living in Madrid is the plethora of rooftop bars, and this post has further convinced me that Spain reeaaallllyyy knows how to do terrazas right. Nothing sounds cooler than sipping some vino tinto while admiring the works of Gaudi from above! Ooh I hear Madrid has some awesome ones! I’m going in the fall, do you know of any must-see ones? Those views! I need to get myself to Barcelona, stat! The best roof-top view I’ve ever enjoyed would probably be at a restaurant in Athens. We had unobstructed views of the Acropolis and delicious food at a very reasonable price. If we’re just talking bars, then the Marina Bay Sands in Singapore wins the prize! Oooh that sounds incredible! I would totally go to both of those rooftop places. I currently live in Barcelona and have been thinking about going to some of the terrazas but was put off by the prices…for views like this I think I will give it another try! The beer or soft drink prices aren’t terribly expensive. The cocktails can get pricey, but I think it’s a nice treat once in a while for views like this! I too am besotted by Barcelona and moved here. 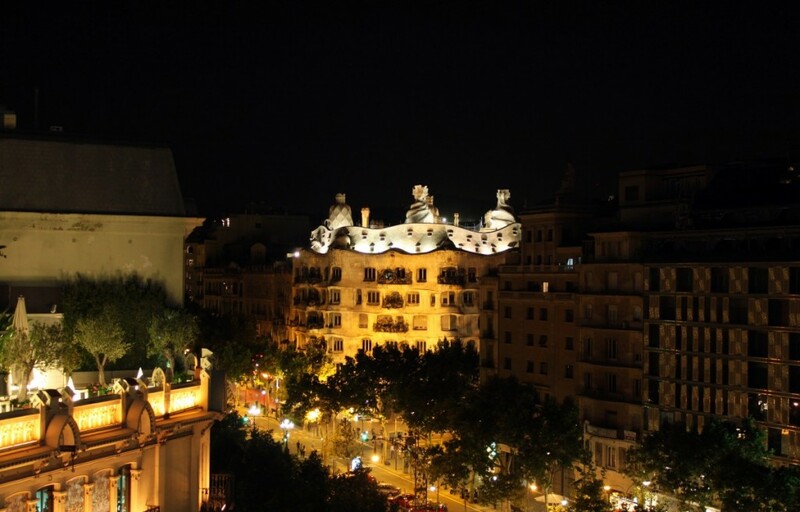 A couple of years ago I did a Hotel Roof Terrace expose on my blog, Barcelona Besotted. I did my best to cover lots of them (a very enjoyable task!). My favourite is always Grand Hotel Central though….. These look amazing. I’ll be in town October 1-5th. Do you think any of them will still be open? Great post! The terrazze in Italy are very popular as well – and for a reason!! If ever in Florence, head to the top top of Rinascente, a department story in Piazza Repubblica for a “secret” terrace coffee – wonderful! And in Milan there are many, try those that surround the Duomo! Thanks, Gina! I’m not surprised they’re popular in Italy too – they are a genius invention! I’ll keep your list in handy for if/when I go to Italy. Thank you for the suggestions! Thanks for the post! Can you tell me what are considered the summer months there, when these are open? I’ll be traveling to Barcelona in mid-May. Good idea for a post, I always enjoy a bar with good views (I did the same on Montreal). We’ll probably be going to Barcelona later in the year and will check some of these out. We loved your recommendations!!!! 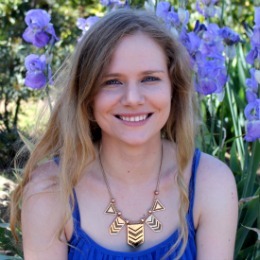 What a great blog!! We went to The Ohla Hotel rooftop per your recommendation and it was AMAZING!! We went 1 hour before sunset and couldn’t pry ourselves away because of the view although we wanted to bar hop to see your other recommendations. The staff was very friendly and accommodating. We LOVED this bar and it was wonderful for pics! We then went hotel 1898 and while it was very nice, the staff was much more snooty :(. Unfortunately we loved the view so much at our first stop that we did not make it to the 1898 bar until after dark, thus ruining any opportunity for pictures with a sunset background at Hotel 1898. We only made it to 2 of your suggested stops but I feel confident that next time we are in Barcelona that we will try the others and that we will love them!! Thank you for the wonderful recommendations and for the blog!! Thanks for the post! We will be in Barcelona next week. Will most of these rooftop bars be closed? Thanks! Hi Jenn! As it’s the end of October, some of them will be closed, but you might be in luck with a handful! The websites should have more specific information about dates. 🙂 Have a fantastic trip! A roof top bar sounds absolutely amazing. I can’t imagine being able to look out over the city like that. Thanks for sharing! Hi Telissa! I actually think some of them probably do, but I would call ahead to double-check. 🙂 I know I tried to go to the 360 one a few years back in the winter and it was closed, but they may have changed policies. Sorry I’m not more useful! Lovely post! I really got inspired by the same topic than you did and I was hoping you can have a read at my post to know what you think? Just added these to my list for my spring break trip! Thanks for the tips.